Bike rides are a fun way to spend time with your child. Every Thursday afternoon after daycare, I pick up my son and ride through Centennial Park to look at the horses, ducks and swans. As an ever-curious 2 year old, Eddy calls out the names of things he sees. Our rides together are bit like reading a picture book! By planning the journey through the park, on quiet streets, and the cycleway, I never fear any sense of traffic danger. Most of our travels are small journeys to the shops, playground, or childcare centre. There are some places that are easier to get to than others, but riding with my son on-board has taught me a lot about being a careful, patient, and risk-adverse cyclist. The age at which you can start carrying your child on a bike is a contested issue (see: Momentum Magazine, Bicycle Helmet Safety Institute, and Bicycle Network) Basically your child needs to have the neck strength to comfortably sit-up on their seat with a helmet on. This milestone is usually reached by 12 months but it will depend on the child’s own development. If you’re contemplating cycling with your child their before 12 months, be aware that there are no helmets manufactured for babies with a head circumference of less 46cm. Parents who are eager to start cycling with children this young can find themselves in a quandary as to what is safe, legal, and practical! There are many different options for carrying your child by bike (e.g. a childseat, trailer, and cargobike). In my experience they all can work well, however what is best for you will depend on your own needs and aspirations. If you're intending to use your bike as a regular form of transport, it’s worth taking a very serious look at the various options and equipment that are available to you. Rear child seats are typically larger and designed for children aged 1 to 5 years old. 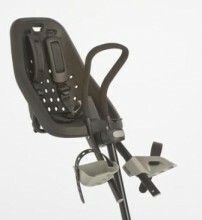 Rear child seats are attached on a separate rack or mount that attaches to the frame. It most cases they can be easily detached when the child seat is not needed. Rear child seats also have stability issues due to their high centre of gravity. This issue will become more pronounced as your child gets older (or heavier). When mounting and dismounting it’s best to lean the bike against a wall on a flat piece of ground. 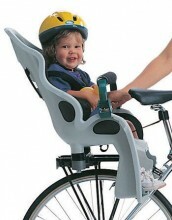 Because your child is right behind you, you’ll need to lift your leg straight over top tube and hold the bike steady. For this reason, a step-though frame will be much easier to use. Almost any bike can have rear child seat attached to it. When fitting, it’s important to ensure that the weight of the child seat is over the axle and not far behind it so the bike won’t tip backwards. Better quality child seats will have skirting boards covering the rear wheel to keep your child’s feet away from the spokes should their feet come out of the footrests. 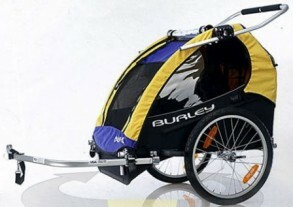 Bike trailers are designed for children aged up to 4 years old. Trailers use a hitch mechanism that can attach to almost any bike. Trailers provide better stability because the weight is more stable with a lower centre of gravity. A trailer will provide far better protection than a child seat should you fall over. Trailers also provide better protection from the elements (rain, sun, cold) so you can travel in almost any weather conditions. Trailers can be fitted with pillows and extra padding so your child is comfortable if she needs to sleep. Higher quality trailers have larger wheels and suspension which provide a more comfortable ride. This is particularly important when riding with younger children who are more vulnerable to the jolts of bumps in the road. Trailers also have room to carry more things including other children, shopping, and toys! Some trailers can be converted into prams for extra flexibility at your destination. A disadvantage of trailers is you’ll have less ability to interact with your child. Another concern many parents feel is that their child is more exposed to traffic dangers in a trailer. Being large and brightly coloured (often with a flag), this is not necessarily the case and most drivers will act very cautiously when they see you riding with a child trailer. However the larger size of the trailer will mean that you are less nimble in and around traffic, which can make you feel uneasy. If you ride with a trailer on congested roads, your child will be more exposed to pollution emitted from car exhausts (not a good place to be!). 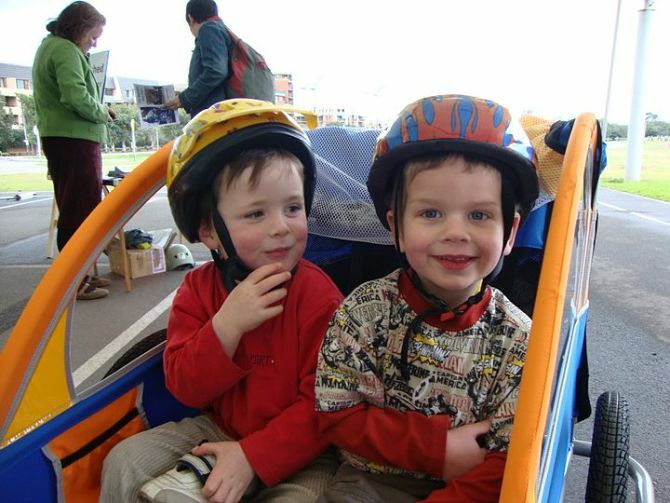 Cargobikes are designed specifically for carrying large loads including one or many children. Cargobikes have been around for a long time, but have only recently become popular in cities such as Sydney. 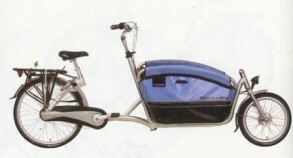 Cargobikes come in various shapes (e.g. ‘bakfiets’, cargotrike, and longtails) and have been described as “the SUVs of the bike world". Cargobikes have a lower centre of gravity, a long wheel-base, and heavy-duty kickstands for extra stability. They can be fitted with child seats and rain covers. The addition of a solid box upfront also means your child is more protected. In many respects, cargobikes are the ultimate child carrier, however the physical effort of riding one can be an issue if you’re riding longer distances, up hills, and with significant loads. It is common for many cargobike owners to convert their bike into an e-bike with electric assistance. Aside from costs (which are cheaper that a car! ), one disadvantage with a cargobike is they take up lots of space, require secure parking, and cannot practicably be lifted up stairs. Complete adult cycle training. Even if you are an experienced rider, cycle training will help develop your skills and awareness so you’ll be a more safe and effective rider when cycling with your child. Go for a test ride. If you’re unsure what child carrier to get, borrow a friends, or visit a bike library. Consider second-hand equipment. As children grow quickly, there is a good market for second-hand child carriers. A high quality second-hand child carrier will often be better value that low quality new one. Practice away from traffic. As carrying a child will affect the control and handling on the bike, make sure you're comfortable with these changes before getting on the road. Start small. Riding together is a new thing for you and your child. By starting with small journeys, your child will be gradually acquainted with the bike (and wearing a helmet) and you’ll feel more confident and experienced in riding together. 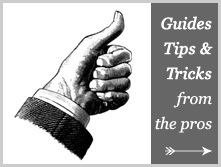 Become an expert route planner. You’ll want to ride in low stress traffic conditions when riding with your child. 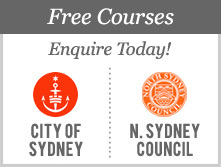 Get to know all your options including the quiet backroads, paths and cycleways around your home. Work as a team. If you’re riding with your partner, its best to work together to make your ride more enjoyable. One parent can shepherd the rider carrying the child by riding in the primary position (where necessary) and engaging with traffic behind. Slow down and focus on comfort. While you can reduce the impact of bumps by getting off the seat and standing on the pedals, your child cannot. To improve comfort for your child, slow down and take it easy where there are bumps on the road. Choose larger tyres (and larger wheels on a trailer) with a slightly lower air pressure for extra comfort. Keep warm. Your body temperature will naturally warm up while riding; however your child will not experience these same benefits. Make sure your child is warm enough, particularly when your child is on a front child seat and more exposed to the wind. Be prepared and have a backup plan! Depending on how far you intend to travel, you’ll need to pack lots of snacks, drinks, nappies, spare clothes, and sunscreen for the journey. Make sure you’ve got space to carry these things and be aware of the weather forecast before you leave. Always carry a lock so you have the option to leave your bike somewhere if the weather turns foul or there is a mechanical problem. 2 Comment so far. Add yours below. Children's bike helmets can save countless young lives and Research shows that bike helmets can be extremely effective in preventing head injuries. This may seem like a natural assumption but even though thirty seven states now have bicycle helmet laws and bicycle safety awareness is on the rise, not everyone wears a helmet. Some of these people are not just negligent, they simply can't afford one.